Accidents and injuries can ruin a perfect set of teeth. This is especially true as each and every one of our tooth experiences a number of strenuous activities as they are being used on a regular day to day basis. The number of chipped or broken tooth cases is pretty huge making it necessary to find appropriate treatment with these cases in a timely and effective manner. Dental veneers have become a very much welcomed procedure that gives plenty of amazing benefits while minimising their risk. Back then, people who want to fix their chipped or broken tooth are left with no choice but to have them removed and replaced with an artificial replacement. A dental implant will be performed which will require a surgical procedure. With that being said, adults for as much as possible will want to save their teeth by any means and not have them extracted. This is especially true if we’ve already passed the age where a new tooth will grow. It is good to hear however, that dental veneers were able to grant this specific niche by helping people restore their teeth back to their former glory. Dental veneers in Sydney are considered to be a low risk dental procedure because they don’t require any form of surgery for them to be properly fitted and installed. Veneers in Sydney are installed using special cement that is applied to the veneer which will then be placed in your tooth. This results to the addition of a permanent layer that provides stronger resistance and immunity when compared to your previous tooth. Furthermore, dental veneers also provide a nice visual aesthetic with their clean and sleek look. This is perfect for patients who have problems with tooth discolouration issues as they can be resolved with little to no problem. Clients will be greeted with two options on how they want to proceed with their dental veneers. Composite veneers in Sydney are considered to be the more popular choice because of their low cost. In fact, porcelain veneers in Sydney cost twice to a composite one. This in turn makes this type of veneer more accessible to a huge number of individuals all over the world. If you are on a limited budget, getting a composite veneer may be right for you especially since the procedure can be reversed. This means that you can have your composite veneer removed in the future which is perfect if you have saved up enough funds in getting a porcelain one. 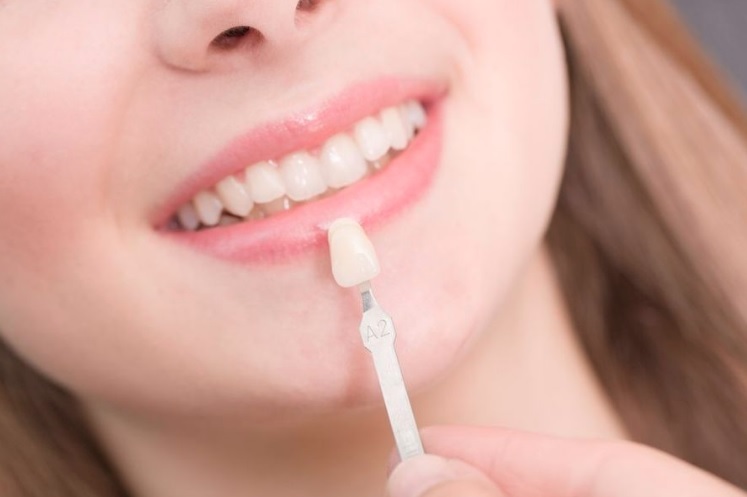 Porcelain veneers may be a bit on the expensive side however, they are considered to be very durable lasting 10 and 15 years with proper oral care and hygiene. This is compared to the 5 to 7 year average lifespan of a composite veneer. Dental veneers just like any other procedure require good candidates in order to be successful. For that matter, make sure to get in touch with your dentists in advance to help you determine if a dental veneer is appropriate for your condition. It is only a 3 minute drive going to My Smile Cosmetic Dentistry coming from Circular Quay Railway Station. Just head south on Young St toward Custom House Ln and turn right onto Bridge St then left onto Pitt St where you will find us on the left side. That’s about it.